Give your home a Bohemian feel with this striking rug. Ideal for adding a little Scandi, Boho style to the living room or bedroom decor. Pretty Mandela style circle patterns decorate the rug which comes in colours of pink and cream. This will add a girly feel to a living room or bedroom. 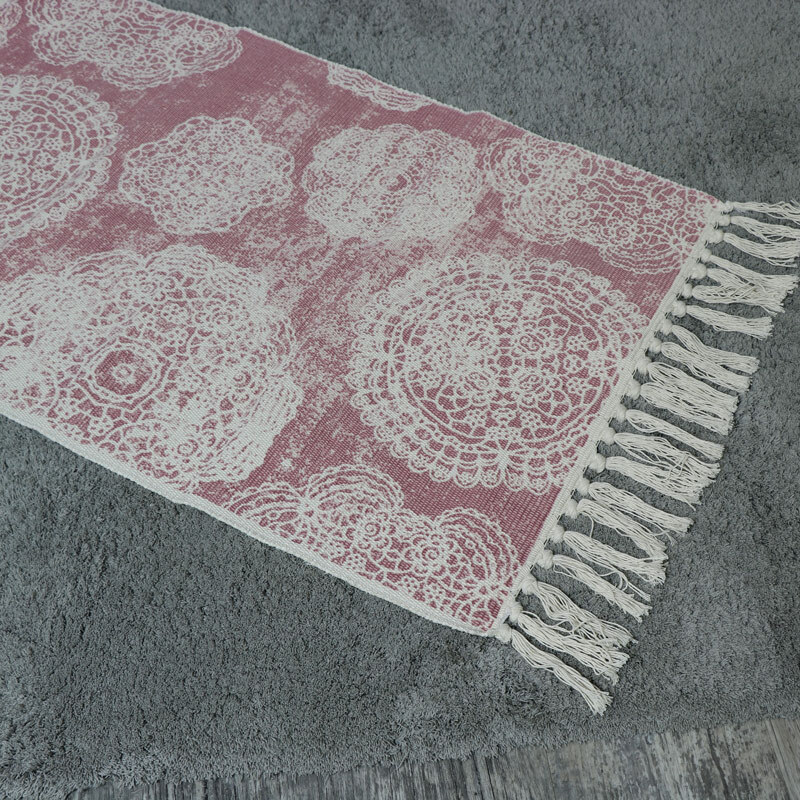 We also have this stylish rug in grey. Give your home a Bohemian feel with this striking rug. Ideal for adding a little Scandi, Boho style to the living room or bedroom decor. 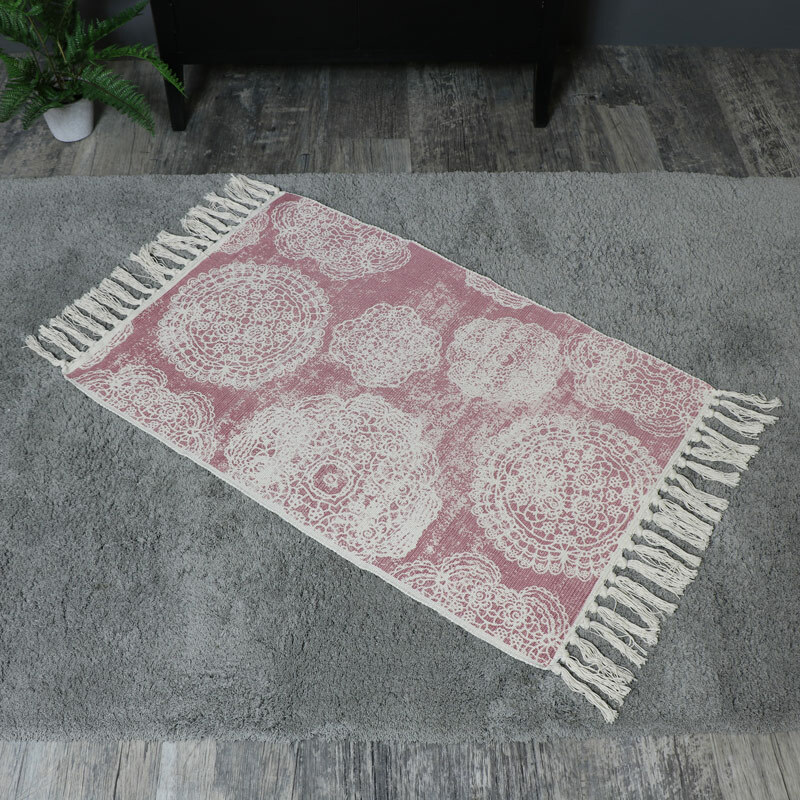 Pretty Mandela style circle patterns decorate the rug which comes in colours of pink and cream. This will add a girly feel to a living room or bedroom. We also have this stylish rug in grey. Woven from cotton and polyester in colours of cream and pink.